The core of the Balancing Act suite is the simulation. This easy to set-up, interactive tool is the best way to communicate financial information to residents and get their informed feedback. 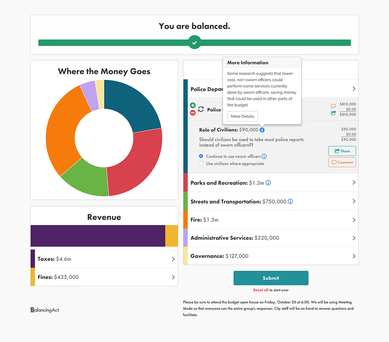 Replace static citizen budgets and other PDF's with a much more powerful learning tool.